Just suddenly thought of sharing this repurposed potting shed hat I've seen courtesy of www.sunset.com, I was amazed how creative some people can be. 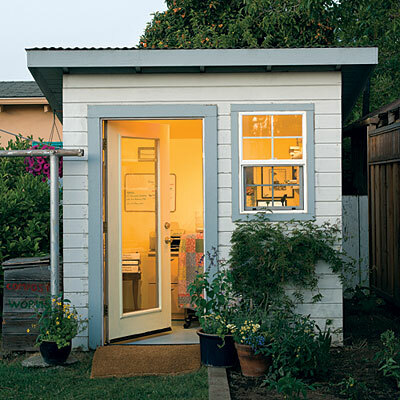 This potting shed was converted into a tiny, beautiful home office. Why not? Work at home Moms deserved some kind of privacy, too right? This home office idea was from a working Mom herself, Martha Mendoza. After seeing this picture, I suddenly got the urge of making a detached home office for myself. I love fun and adventure and most of all, I love reinventing things and having these into full use.